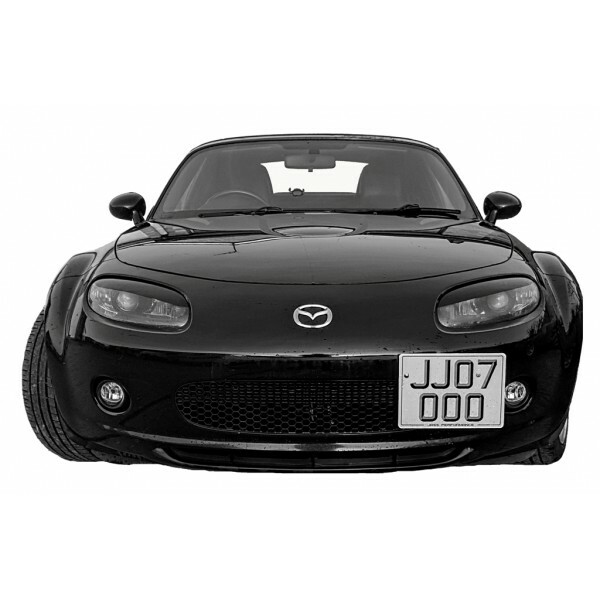 Three things kept me away from this model for years - the headroom of stock NC, the rear crystal lights and the non appealing headlights. 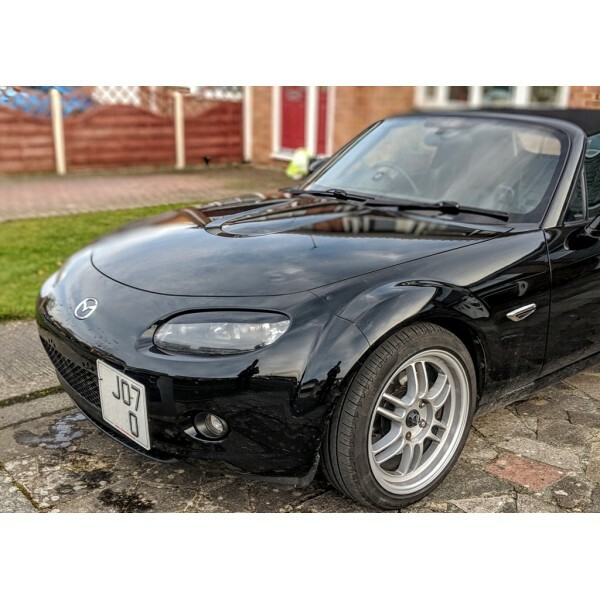 With the other two solved I looked for aftermarket options for an easy front change - the N3.75 swap of headlights and bumper, while providing better look is not quick done, even considering the time to source the parts. The aftermarket eyelids options came pretty quick with the introduction of the model in 2006, but all of them have a visilble gap to the bumper (quite a focal point, stating, this part does not belong here) and I did not feel any of the design took advantage for the design options around these headlights. Long story short, that motivated me to, recording the light output picture, design integrated solution, which blends with the model character lines, while providing more masculine look. As a result, I had two designs. Could not decide between them and took the easier challenge to integrate them into one solution, so everyone has to make own choice. Why vinyl and not plastic? 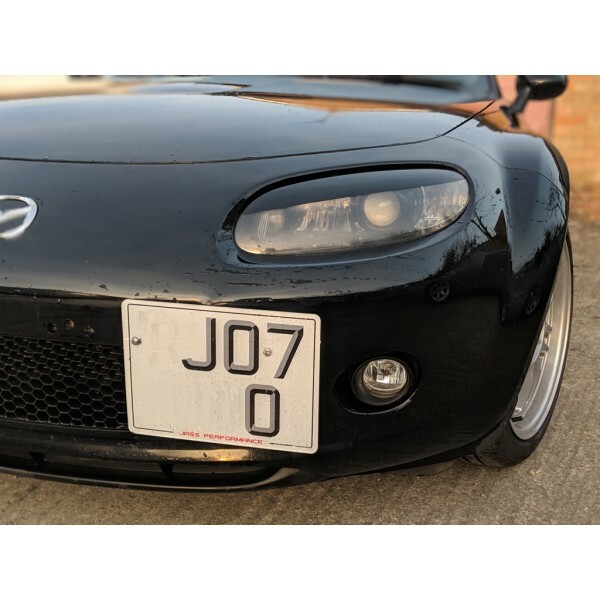 As mentioned earlier the gap left by plastic eyelids attempt to become part of the bumper (same level etc) and draw attention in the wrong way (as if something is unfinished). The vinyl still has the gap between the headlight polycarbonate and the bumper, but this gap is naturally there. 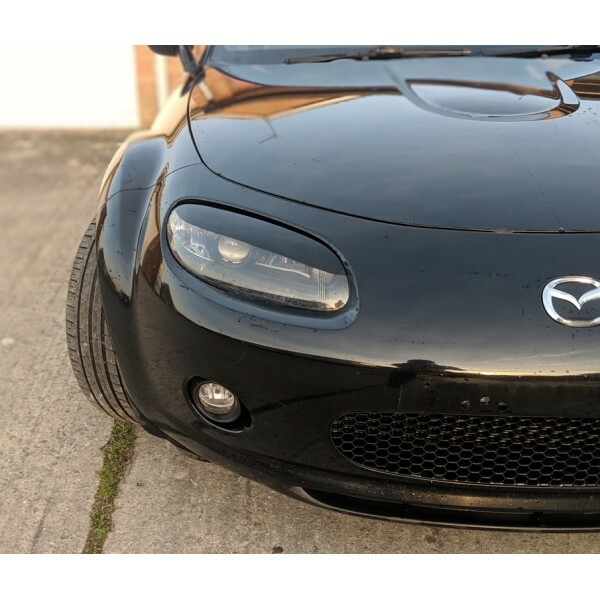 It appears as part of the headlight and it does change the appearance of the headlight as an unit to a more aggressive look, keeping the bumper appearance as it is. Other reasons are the ease to install (uninstall) as well as the time it takes to install. Last, but not least as mentioned earlier – the design freedom! And just in case, price is important of course. How are both designs different? 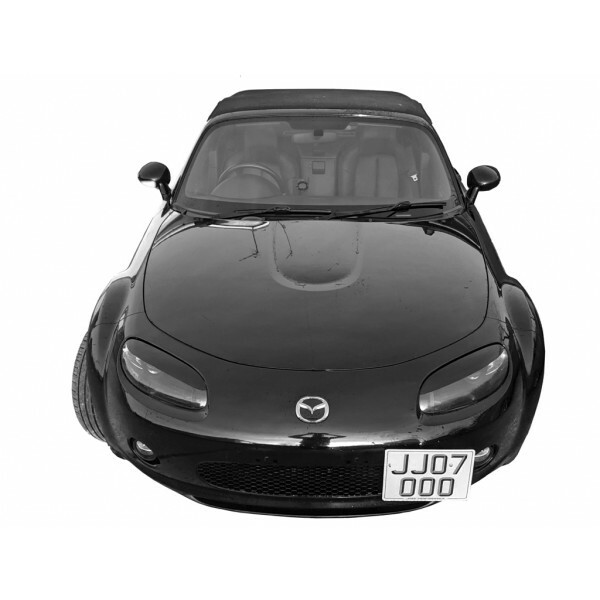 Depending on the way the vinyl is applied (up or down respectively) two design options are available, both deep integrated into the design lines of the NC1 model (prefacelift). The photos below represent on the left (car left) headlight the more curvy design, which flows with the curve of the bonnet character line, but appears more aggressive when looked at centrally from a distance. The one on the right blends with the headlight lower lip and has more edgy and aggressive appearance from the top. 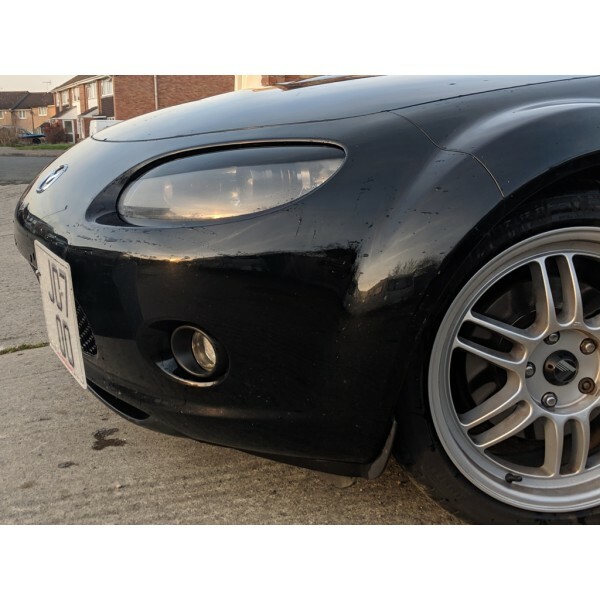 The pictures below are to provide overview and help with the initial decision, which then can be test fitted on the car. Pair of high quality automotive vinyl eyelids with transparent protective film. Depending on the way they are applied, two different designs are possible. Detailed installation manual and design guide is included. Optional ot order is professional vinyl application tool.